inspiring and entertaining the channel is all set to sizzle with the show launching on 16th July at 9 PM . Promos are on- air and creating heavy buzz on TV & Digital platforms. 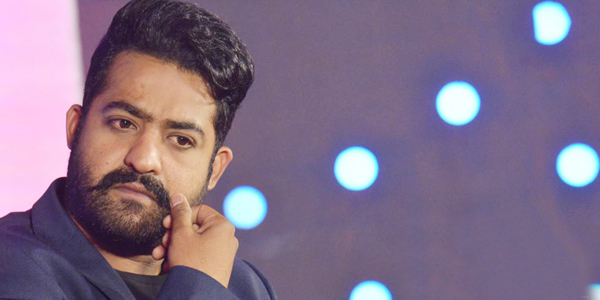 Right from the first reveal promo showcasing Jr. NTR in a stylish video to the one where he explains the format and promises entertainment, the promos have been creating a sensation. The latest promo launched brings out the naughty and fun loving side of the host and the show. The promo gives a glimpse into some elements of the life which the dozen celebrities will experience in the house. Jr. NTR as the host has a ringside view and is shown thoroughly enjoying it. Bigg Boss, the Indian version of the international format Big Brother is one of the most successful reality television series ever. In this season, the show will have 12 celebrity contestants who will be locked up in 1 BIGG house with 60 cameras surrounding them and watching their every move for 71 days. The cameras will be on record mode all the time capturing the real side of these celebrities. Like the new promo illustrates, we shall see our famous and glamorous celebrities doing the regular chores and having to live without their gadgets. They will be periodically instructed by BIGG BOSS voice on tasks and rules and they will have to follow that. Each week the housemates have to nominate 3 names for eviction from the house and the viewers have the power to vote in the housemates for prolonging their stint on the show. The celebrity with the least votes is evicted from the show on the weekend. The most anticipated question remains who are the dozen celebrities who will enter the house and that continues to be a mystery until 9pm 16th July. The presenting sponsors, Smartphone brand OPPO have quoted “"We are excited about our association with Star Maa. OPPO is a leading camera phone brand and is known and appreciated for its cameras experience and high-quality products. We believe that both brands have a high appeal amongst our local audience, especially the youth. Thus, this association is perfect. With the first ever Bigg Boss season on Star MAA with OPPO, we together want to offer our audience entertaining content, bring our fans closer, generate more ideas, and bring more surprise in the coming future." Star Maa is a part of Star TV network, which is a wholly-owned subsidiary of global media company 21st Century Fox. Star Maa is a leading Telugu TV channel network known for its vibrant, innovative, pleasant and interactive programming in the Telugu language market and enjoys a strong growth trajectory, driven by general entertainment and movies. Star Maa Network has a bouquet of five channels—Star Maa, Star Maa HD, Star Maa Movies, Star Maa Movies HD, Star Maa Music, and Star Maa Gold.